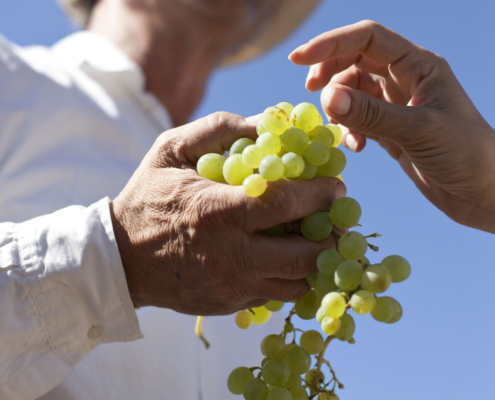 Assyrtiko-Santorini wines are rare and distinctive. 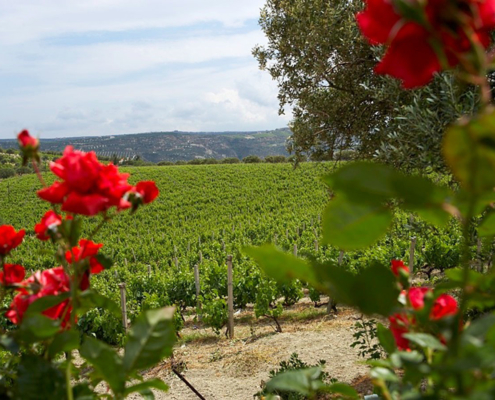 These wines are born from the indigenous Assyrtiko grape, cultivated in some of the world’s oldest vineyards, dating back 3.500 years, on the volcanic island of Santorini, where nothing is ordinary! 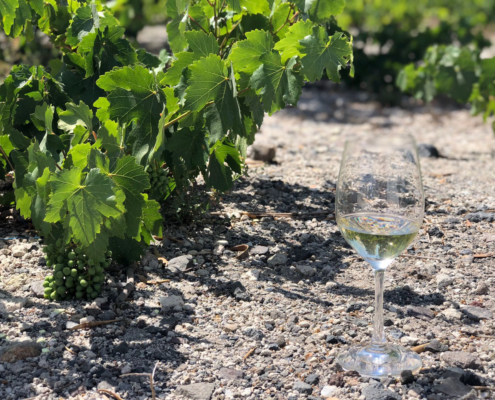 Assyrtiko-Santorini world class still dry whites can be drunk young or aged, as they are precious, truly ageworthy wines; the ideal complement to haute cuisine, fish, seafood and, surprisingly, even meat dishes. 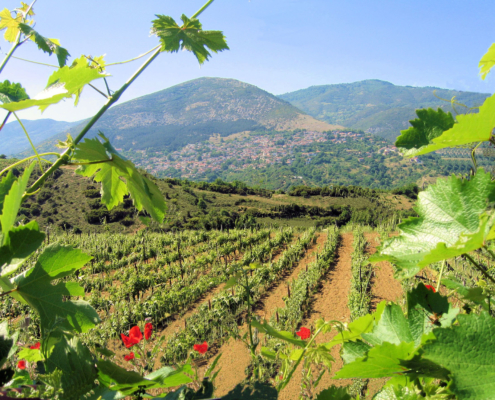 These terroir driven wines of distinct character are structured on exciting minerality and savorous density. 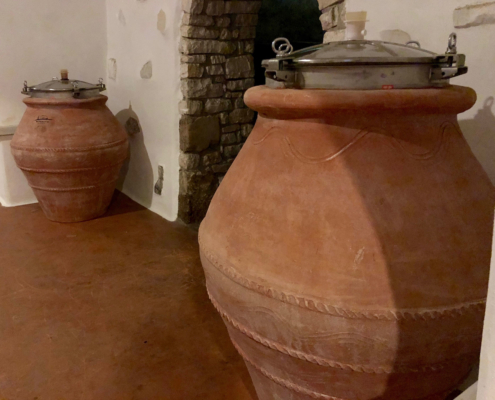 They both reflect the unique volcanic and anhydrous soil of Santorini, which is an internationally acclaimed “pedigree”. 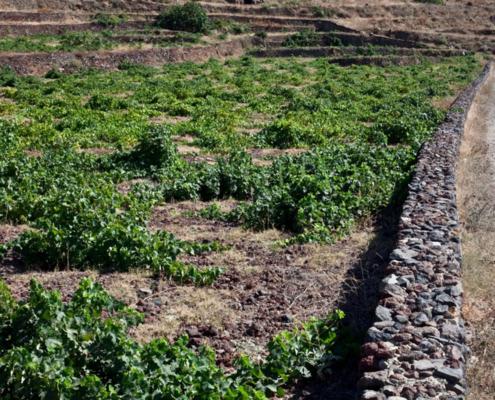 Assyrtiko-Santorini is one of Greece’s most fascinating and unique indigenous grape varieties. 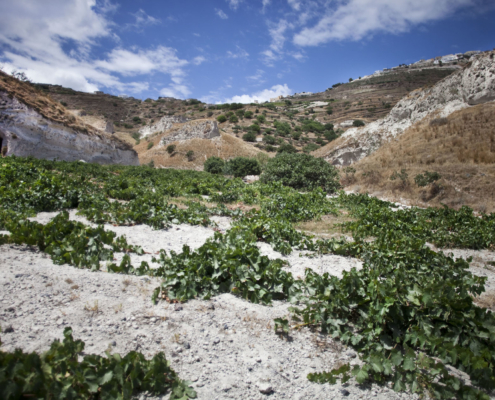 When tasted blind, dry wines from Assyrtiko-Santorini (PDO Santorini) are almost always said to come from a northerly climate. Yet its birthplace and favorite haunt is Santorini, a unique island of breathtaking beauty in the middle of the Aegean sea. 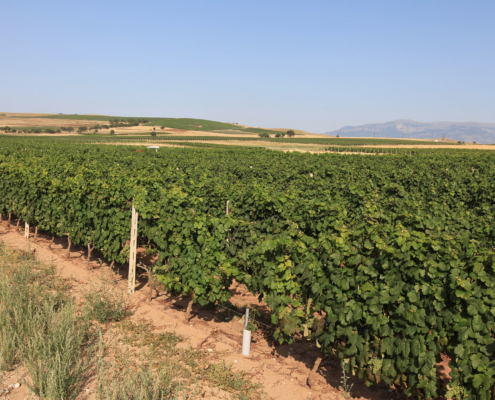 Assyrtiko-Santorini does not at all have the usual profile of other hot climate varieties. It produces a dry white wine of distinctive character and great minerality, pleasant to drink young, but also very ageworthy. 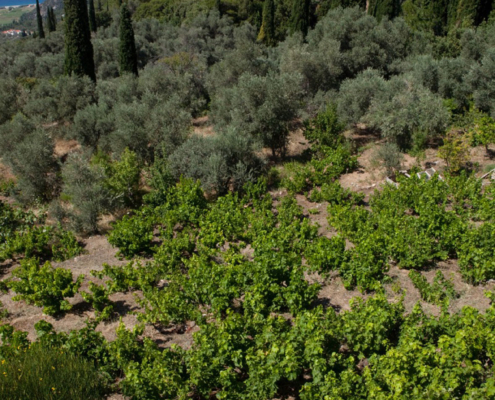 Most wines are unoaked, though some very good examples of oaked Assyrtiko are made and boast the same great ageing potential. 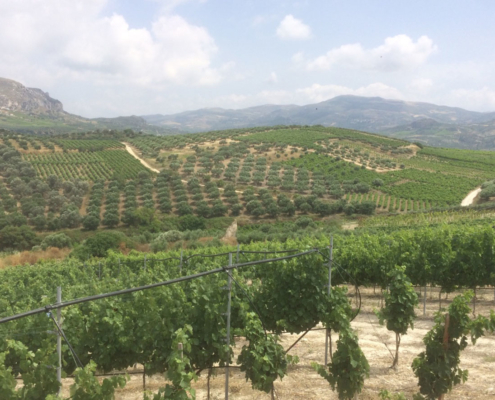 Very old vines, along with poor soils, hydric stress and strong winds, explain the extremely low yields of Assyrtiko-Santorini as well as the dense structure and the opulency of its wines. Harvest is one of the two –hardly three– earliest in the country and usually starts at the beginning or in the middle of August. 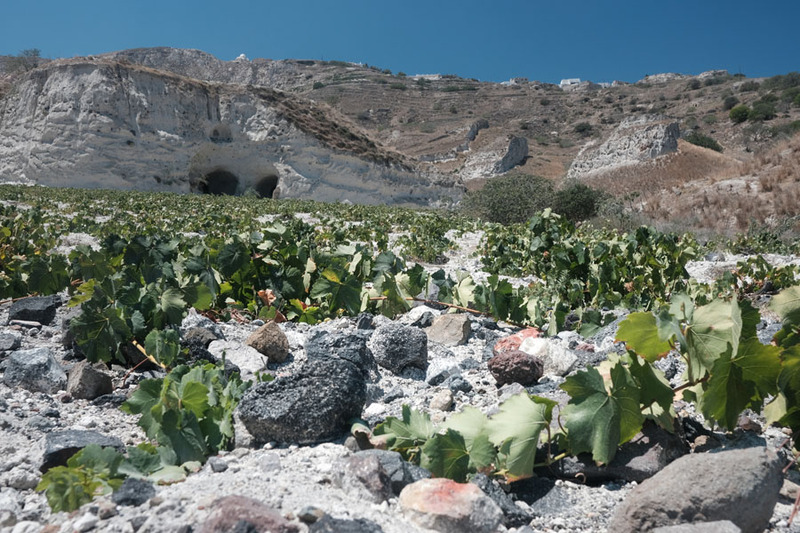 This rare, ancient grape, Assyrtiko-Santorini produces a world class wine that invites you to discover the unique volcanic terroir of Santorini. 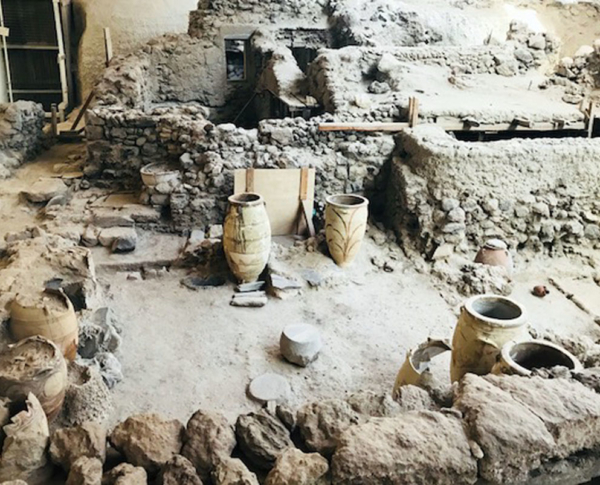 Assyrtiko-Santorini is a must try for all those seeking an awesome experience, rooted in Santorini’s legacy of ancient earth wind & fire, sea, & fine wine, that is off the beaten track. 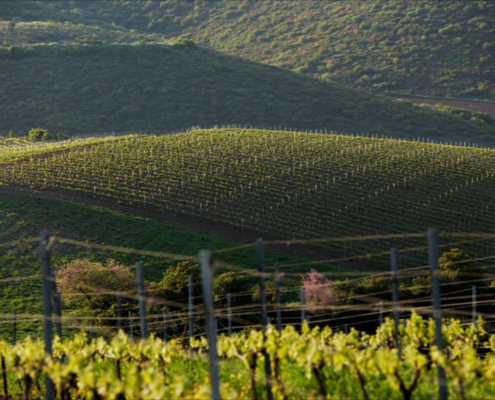 Not only does it not resemble anything else, but it has one of the most striking senses of place a wine can convey. Of course, nothing beats a trip to Santorini. 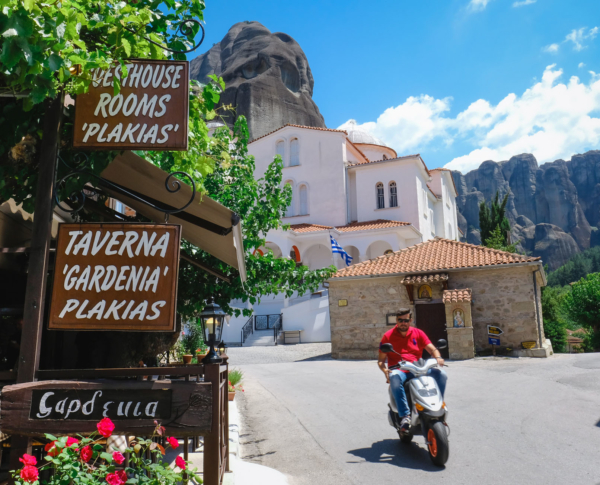 The island is steeped in history: the architecture, archaeological sites and museums will take you through time. The unique beauty of its natural environment is something that needs to be experienced firsthand to fully appreciate the island’s phenomenal setting and traditions; its volcanic earth wind & fire, sea, & fine wine. There is nothing quite like tasting Assyrtiko-Santorini while looking out onto the caldera and watching the sun melt into the Aegean Sea. 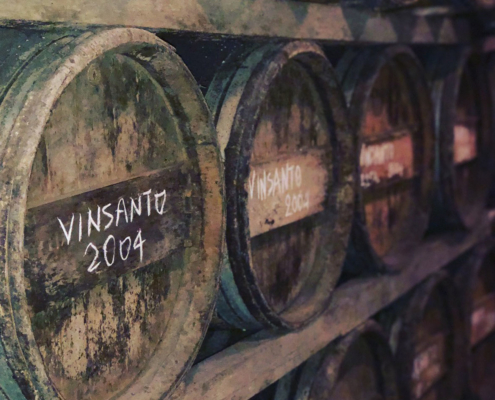 Even better, it should be experienced at one of the islands top restaurants: Assyrtiko-Santorini definitely makes wines that truly shine at the table, and have wonderful synergy with the local Mediterranean cuisine. 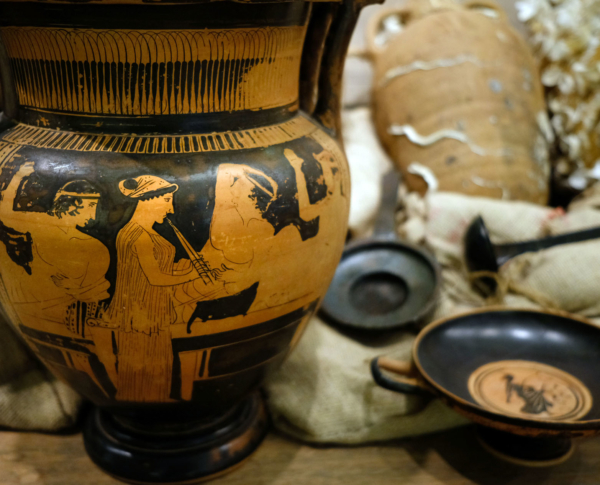 But the wines’ fabulous food friendliness should not be limited to Greek cuisine. It is, of course, a great partner for all the fresh fish and seafood served on the island, but Assyrtiko-Santorini also has a wonderful affinity with anything salty or briny. Oysters are a lovely match, just as salmon tartare with capers and gherkins, or cured ham. Even soy sauce works well, be it with sushi or a tuna carpaccio. 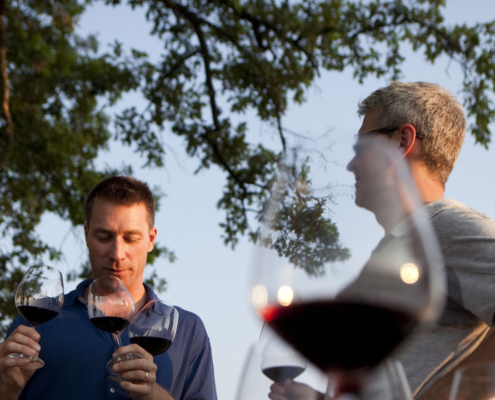 The wines’ depth and complexity also allows for more elaborate cuisine. Think of seared sea scallops with garlic and lemon scented white beans, or a filet of halibut on a cauliflower purée with capers, olives and raisins. It is always difficult to choose a favorite wine. 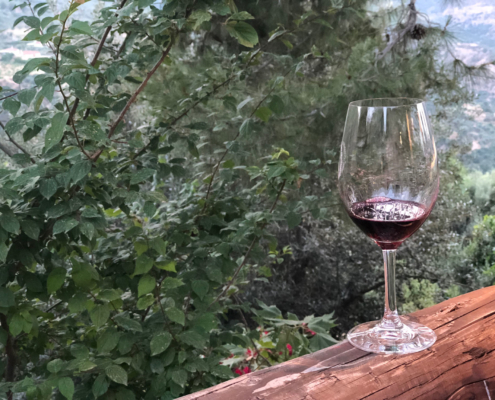 What fascinates wine lovers is the drink’s fantastic diversity, and its capacity to transport us to far away places, such as a legendary island in the sun celebrated for its earth wind & fire, sea, & fine wine. Santorini enjoys an ideal Mediterranean climate with mild winters and warm, dry summers. 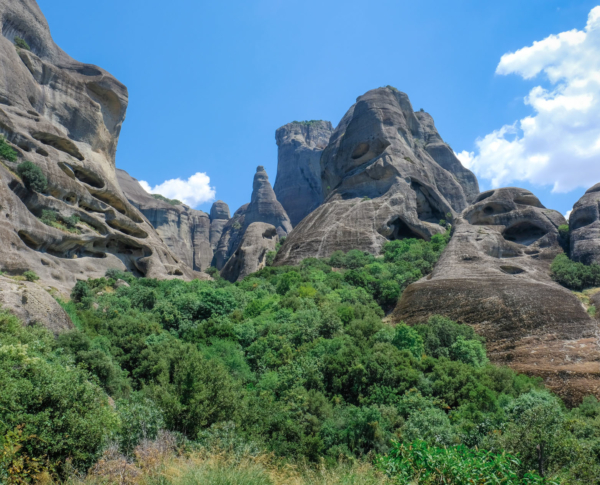 Rainfall is very low, and the little rain that falls on Santorini falls mostly in the winter. 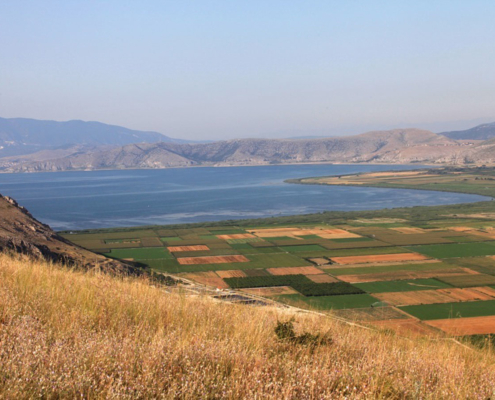 However, the porous soils of the island help retain humidity from dew, rainfall, and moisture from the sea, ensuring an adequate water supply for the vines during the growing season. 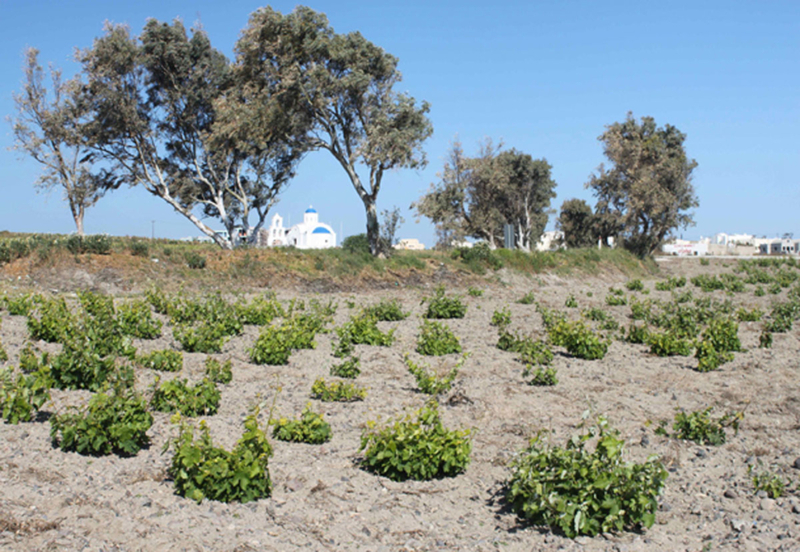 As a result, Santorini’s unique ecosystem is a harmonious climate for its native grape, Assyrtiko. 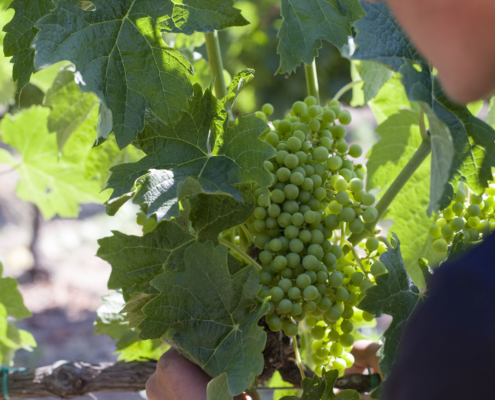 The grape has perfectly adapted to the local conditions and remains hearty during the warm, dry summers of Santorini. The summer heat is made bearable by strong winds and cool sea breezes. 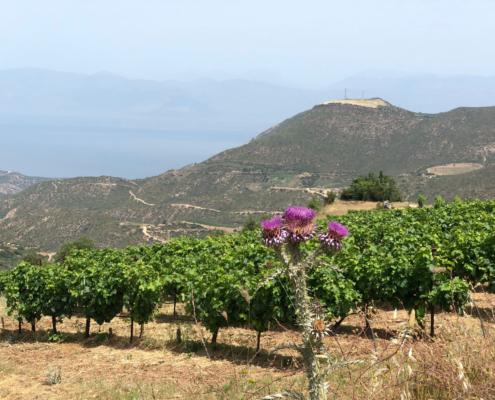 This island in the middle of the Aegean sea is buffeted by winds from every direction which can pose a real threat to the vines. 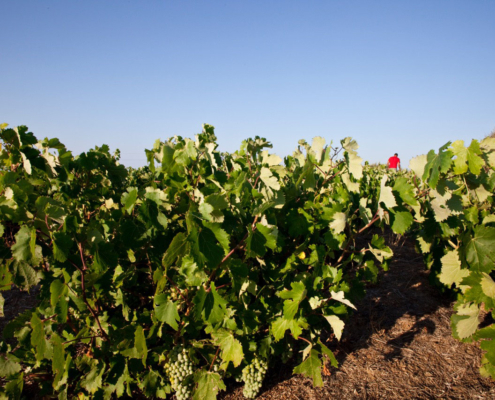 They are a threat to the vines not only because they bring the salt from the sea air and the sand from as far away as the North-African coast, but primarily because of their sheer strength. They have been known to blow down trellised vineyards in a matter of minutes. 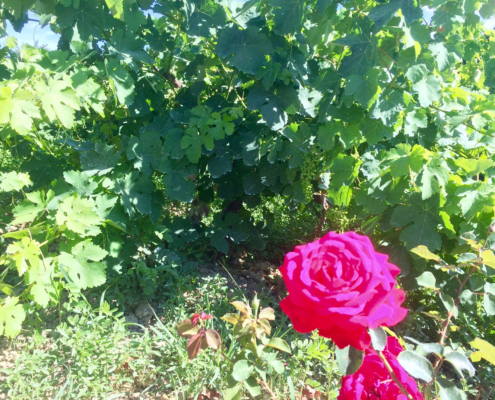 However, the dominant wind—known as Meltemi, a real danger to sailors—is actually quite beneficial for the vine. 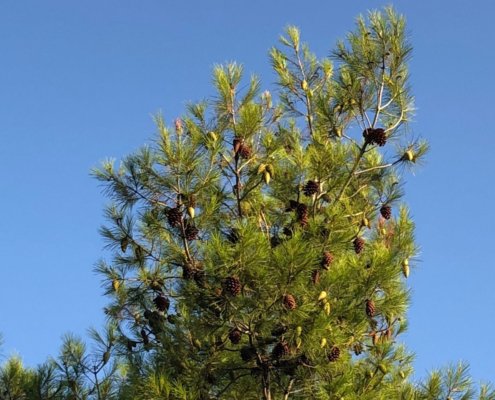 This cool wind blows from the north mostly during the growing season. 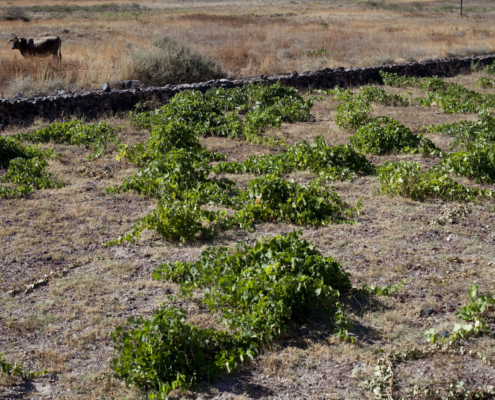 The Meltemi is an integral part of Santorini’s unique ecosystem, helping to lower temperatures and allowing for slower ripening of the grapes. 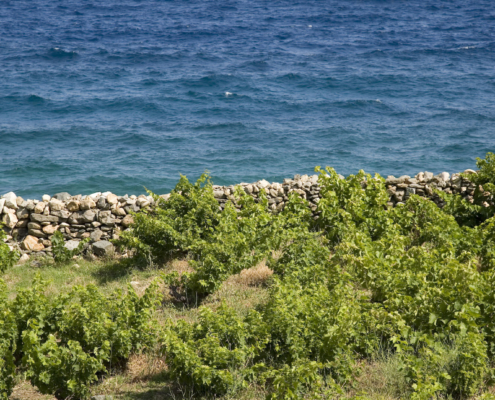 The winds are also very beneficial in keeping typical vineyard scourges at bay. 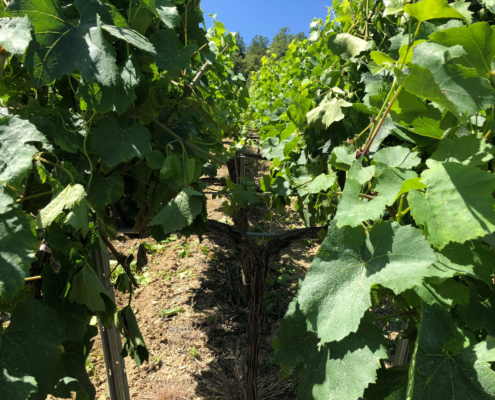 The constant circulation of air wards off rot and disease – keeping the vines healthy and protected. 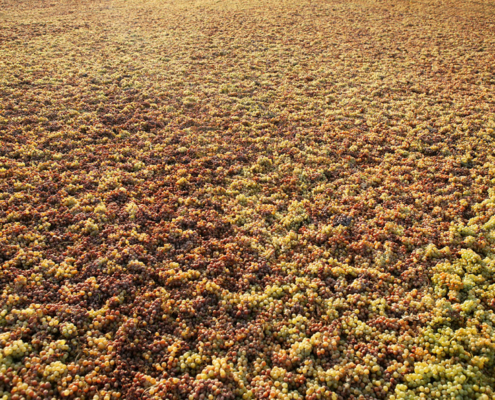 As a result, the winds, in combination with the low rainfall and volcanic soils, contribute to Santorini’s unique ecosystem. 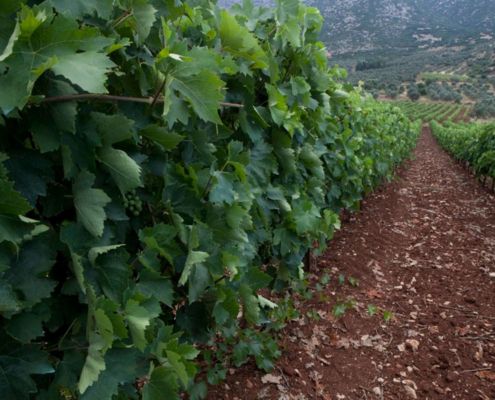 The extremely low yields of Assyrtiko-Santorini high quality wines are a natural result of the old vines, the volcanic soils, the hydric stress and the strong winds of Santorini’s unique ecosystem. 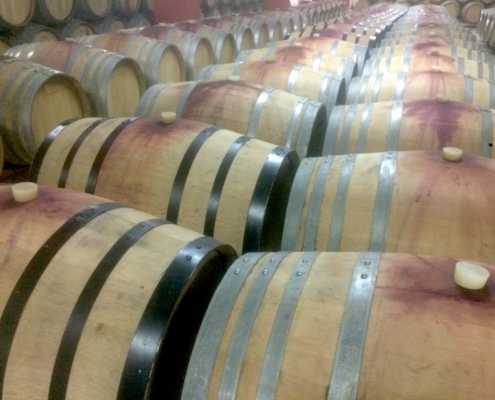 They all contribute to the concentration and the richness of its wines. Indeed, the law allows yields of up to 55 hl/ha, but these are rarely, if ever, reached. An abundant harvest could turn in close to 40 hl/ha, but normal yields are closer to 20 hl/ha, often even dipping below 10 hl/ha.